Antiques, come from Latin word, Antiquus, which have meaning old or ancient, is an item perceived as having value because of its aesthetic or historical significance. An Antique is usually an item that is collected or desirable because of its age, beauty, rarity, condition , utility, personal emotional connection, and or other unique features. The Posto Dormire Hotel collect, peserves and exhibits antiques. The collection serves an important role in industrial revolution era. 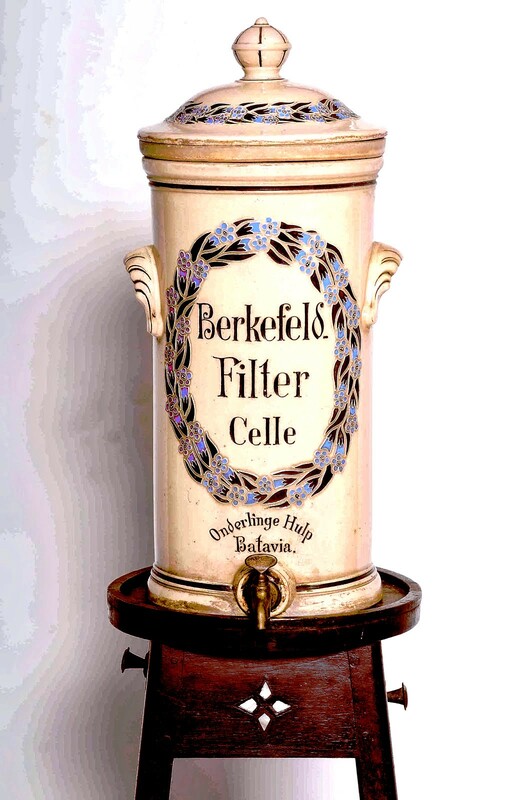 This water filter is made from German and still in good condition. The table have height 92 cm, diameter of the table 27.5 cm and width between each table leg was 37.5 cm. In the left and right of the table there's container where you can put glasses in there. The left container had 6.5 cm diameter and right container 11 cm diameter. These attractive "tin box" styled phones are an approximate copy of an Ericsson model, the AC400. 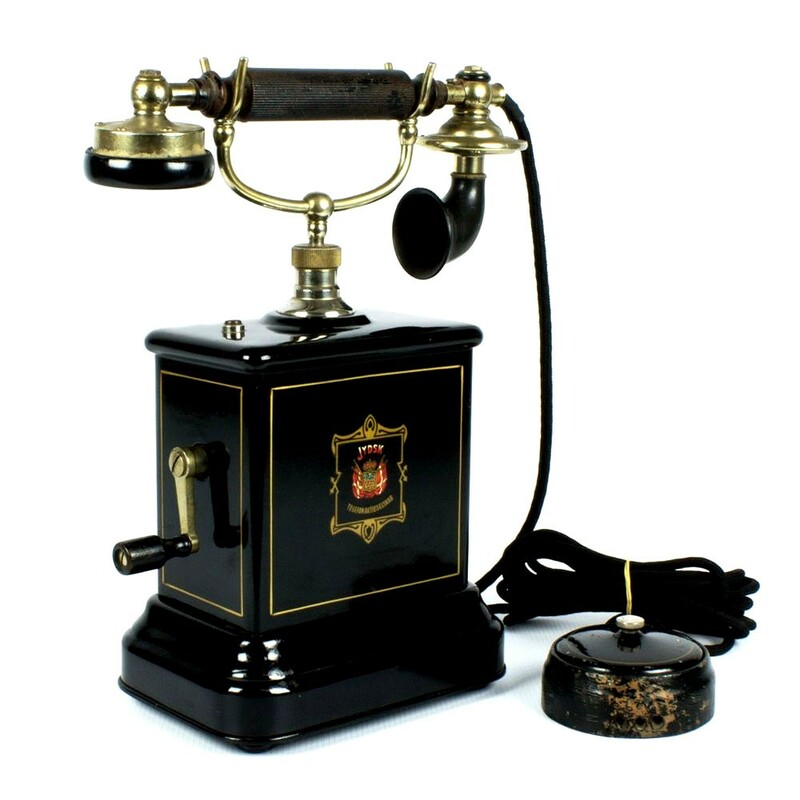 They were produced by Emil Mollers of Horsens in Denmark and were used by the Jutland Telephone Company, among others. They represent a common example of a style that was used worldwide. Although the basic style is similar, the individual phones reflect the different approaches taken by each manufacturer. The decoration on this style of phone is often quite attractive, making them a colorful addition to a collection. 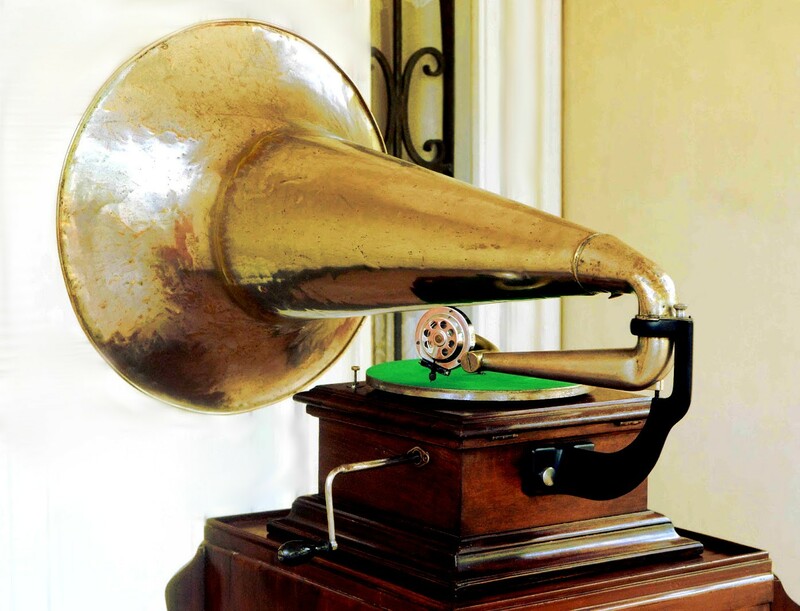 Victor Gramaphone Type II made from USA production 1905 - 1907. The dimension of the box around 30 cm x 30 cm x 17 cm, with disk plate 25 cm in diameter. The sound horn have length 80 cm with diameter 25 cm. Wooden Antique Japan Camera "astoria"
These Japan camera made from chery wood, used large format film and still use glass film chemical coated with size of the cut film holder approximately 28 cm x 20 cm x 2 cm and film plate size 21.5 cm x 16.5 cm. 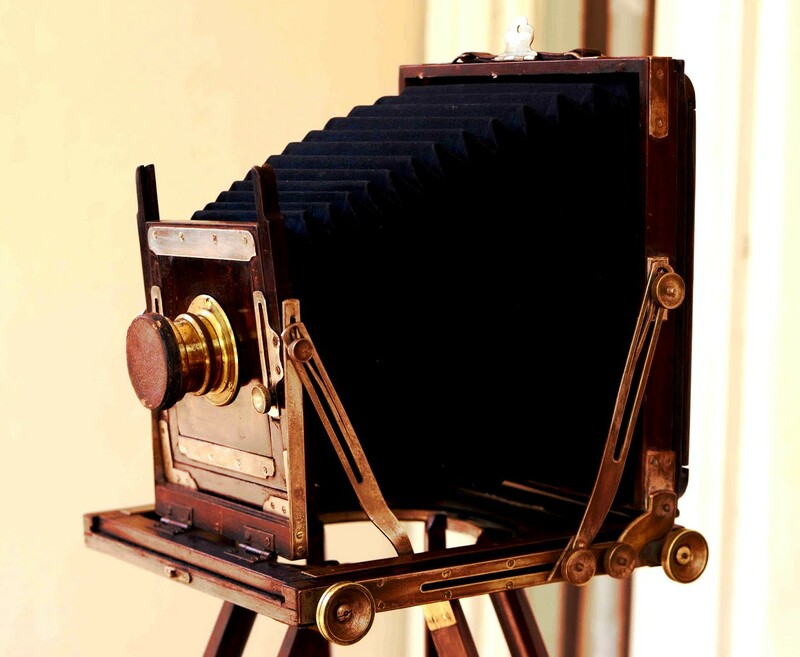 The camera was used for indoor or outdoor photography with the tripod length 150 cm, and on flipped state 60 cm. The camera dimension is 26 cm x 26 cm x 29 cm and max length is 42 cm. 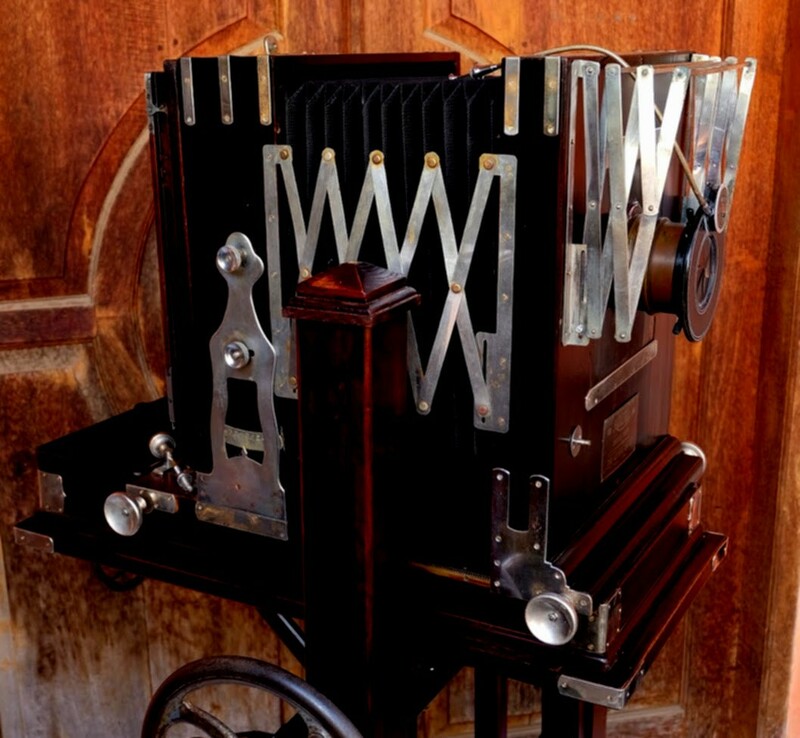 These old wooden camera is a limited editon from a japan brand Astoria which used for studio photopraphy. The body parts is mainly made from woods, with Carl Zeiss Jena brass lens Tessar type 45 / 30 cm DRP Serial 246491 with additional Universal Shooter. The height of tripod is 130 cm, with camera dimension: 53 cm x 66 cm x 38 cm.